Not everyone who wants to deck out their home with smart lights and other gadgets can afford high-end bulbs like Philips Hue — myself among them. However, several companies offer more affordable workarounds, including Aukey. I’ve spent the last few days testing out a pair of Aukey Wi-Fi Smart Plugs, which offer to make your not-so-smart electronics rather intelligent. Compatible with Alexa and Google Assistant, users can command anything connected to these plugs to turn on and off at whim. You can also use the smartphone companion app to control the plugs. The drawback, as with all smart plugs, is functionality is limited to on and off. While in and of itself, that’s not a bad thing, it does preclude some electronics from working well with them. Essentially, the Wi-Fi plug operates similarly to your unplugging and plugging in the device that’s connected to it. So, my coffee machine, for example, doesn’t work with smart plugs because when you plug it in, you have to press the start button on the screen before it does anything. While I can’t realize my dreams of putting the coffee on with my voice before crawling out of bed — yet — I can connect other objects, like lamps or even the small space heater I have nestled beneath my desk. The benefit of these ‘dumb’ devices is that their power switches are mechanical, meaning I can leave them switched on and control their on/off state with the smart plug instead. With a few colder nights this week, there was a certain elegance to asking Google to turn on the heater. Another benefit of the Aukey Wi-Fi Smart Plug is its size and shape. 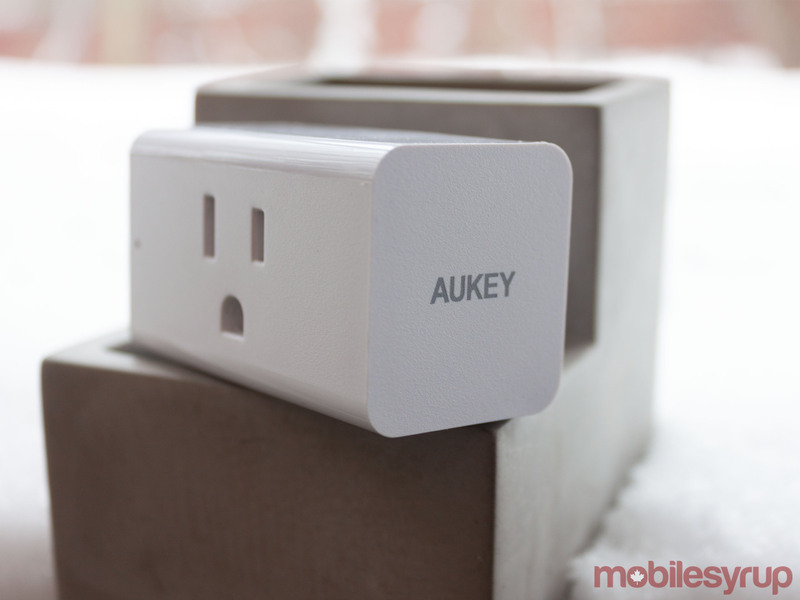 Unlike some smart plugs, Aukey designed theirs to work in the same outlet. Overall, the plugs aren’t physically restrictive either, allowing them to work with most other plugs anyway. The set-up was rather simple as well, if a touch more difficult than some other smart devices I’ve used. First up, you’ll need to download the app. 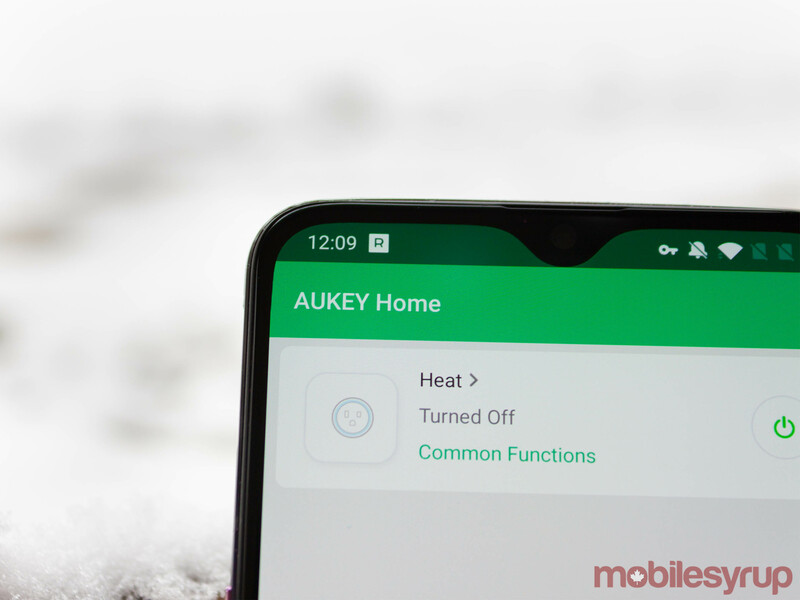 The Aukey Home app is free on both iOS and Android. With that out of the way, you simply plug in the smart plug. On the left side of the device is a small LED that began blinking as soon as I plugged it in. That signals the smart plug is ready to connect. If it doesn’t start flashing, the Home app can take you through the steps to enable the connection mode. Then, tap the ‘Add device’ button in the top right corner, select the type of device you’re adding, and enter your Wi-Fi password. It’s important to note that at this time, the Aukey Home app doesn’t support 5Ghz Wi-Fi. If you’re using 5Ghz Wi-Fi, the app lets you easily switch over without leaving the set-up window. Once the app connects to the smart plug, you’ll be able to name it and control it within the app. Along with turning the plug on and off, you can set timers and schedules to control when the connected device turns on or off. Once you’ve got the plug connected, you can open the ‘More’ menu, where you’ll find instructions on connecting the device to Amazon Alexa or Google Home. While I couldn’t test the Alexa functionality — I don’t have an Echo device — Google Home worked well once set up. 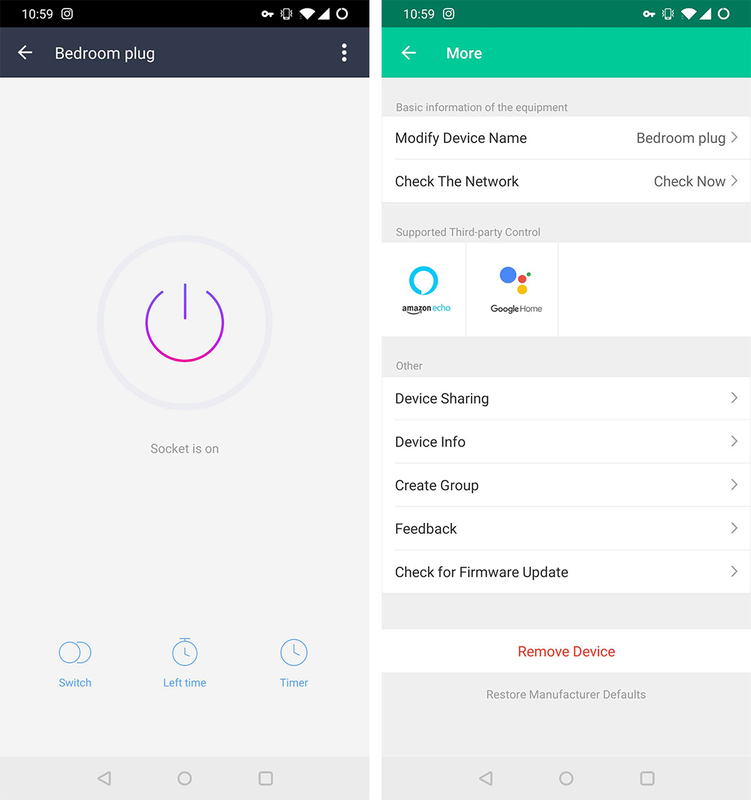 However, the instructions in the Aukey app weren’t representative of the current Google Home app, so I’ll briefly relay how to connect the smart plug to Google Home for anyone who needs help connecting the devices. Google Home will then present you with a list of compatible services. Aukey called its service ‘Smart Life.’ I had to search for it. When you press it, you’ll be prompted to sign in with the Aukey account you created when you first opened the Aukey Home app. 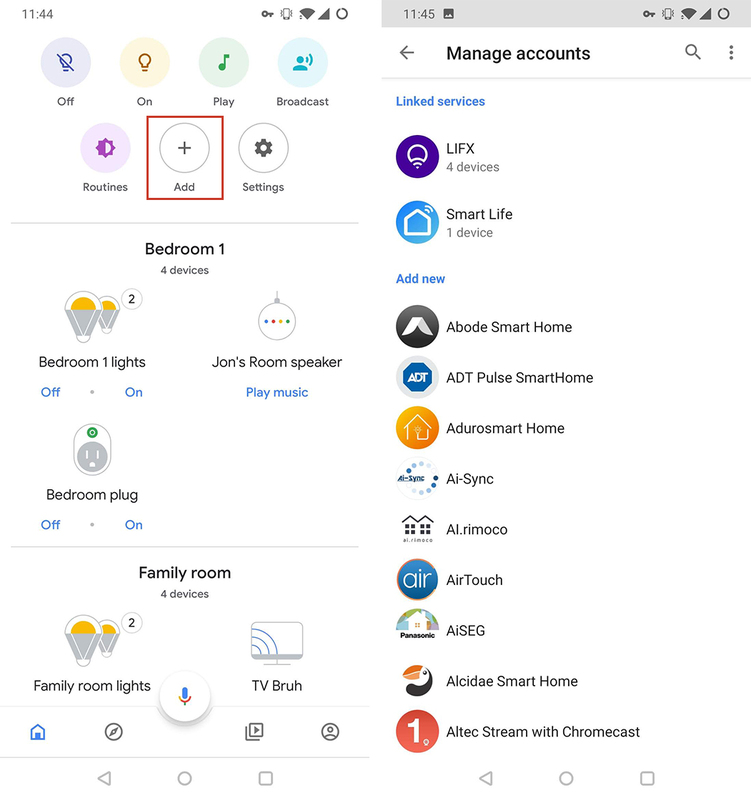 Once signed in, Google can sync any Aukey devices connected to your account so you can control them with your voice. Once everything is set-up, it works very seamlessly. The smart plug clicks on and off at a word and works without issue. 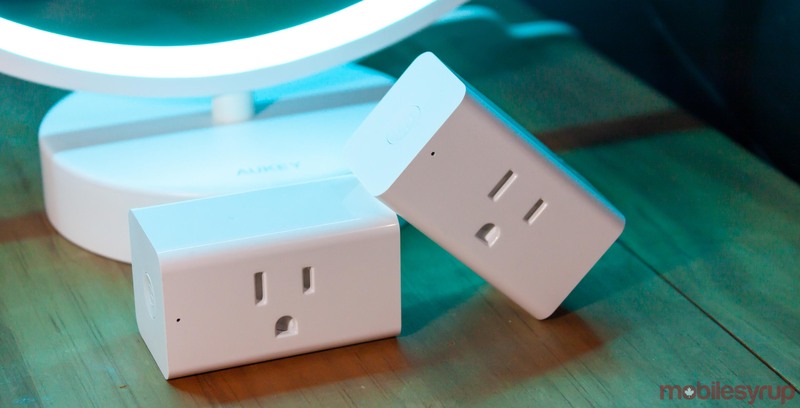 Ultimately, Aukey’s Smart Wi-Fi plugs offer a more affordable way to turn your dumb gadgets into smart gadgets. Whether you want to control your desk lamp with your voice or set a time to run a small space heater before you wake up in the morning, these smart plugs can help you do it with ease. If you want to pick up a pair, they retail for $42.99 on Amazon right now. You can check them out here.